Brady Forrest's new public benefit corporation will nurture Ignite. Brady Forrest at Ignite Sebastopol. Ignite, the worldwide network of geek events that promise to “Enlighten us, but make it quick,” is now under the aegis of Ignite Talks PBC. Brady Forrest, who started Ignite back in 2006 with Bre Pettis, has launched this new public benefit corporation to grow and nurture Ignite, a move that makes all of us at O’Reilly very happy. It’s time for Ignite to leave the O’Reilly fold, and we’re certain it will thrive on its own. If you want the tech community to have diversity, you need to be the change. Stepping out of our comfort zones and into the spotlight at events (and encouraging others to do likewise) can help address the perception that the tech community is solely populated by young white guys. Attend Ignite Google I/O in person or watch it live online. Ignite takes place at Google I/O on Tue. May 10 at 5 PM PDT in Room 11 at Moscone West. If you can&apos;t be there, you can watch live on the I/O Live site. 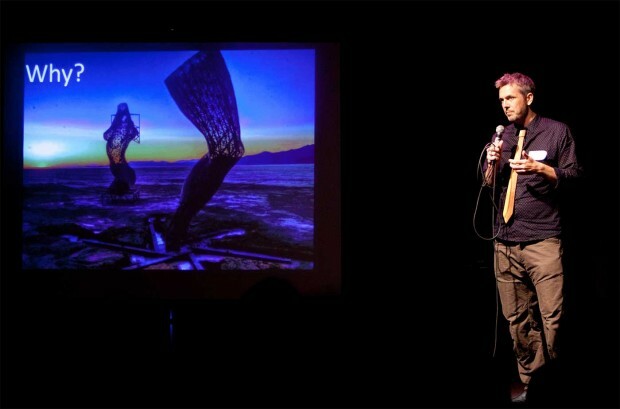 Ignite Smithsonian featured innovative ideas about museums, design, art, technology and culture. This Ignite, the first to be held the Smithsonian, brought speakers from in and outside of government, including an international contingent. The Ignite format can connect schools and students to their communities. As was on display during Ignite Petaluma, the Ignite format offers a great way to bring together students, faculty and members of a community. the presentation in the following short interview. Global Ignite Week returns for a second year. Global Ignite Week returns Feb. 7-11, 2011. Last year, more than 600 Ignite talks were given in 67 cities on six continents. The bar is set even higher for round two. From March 1-5 there will be ~65 Ignite events happening around the world. Ignite is an opportunity for geeks to share their passions and ideas with local peers. Each speaker gets 20 slides that each auto-advance after 15 seconds for a total of just 5 minutes. The result is bite-size chunks of information that inform the crowd on new topics. There are lots of Ignite videos online.